As the ecosystem of everyday objects embedded with technology to connect, communicate and transfer information continues to expand, scientists are challenged to find ways to enable even more physical objects to become 'smarter' and connected. Leveraging the U.S. silicon manufacturing industry's expertise in rigid electronics and novel efforts in high-performance electronics 3D printing, a collaborative effort between the Air Force Research Laboratory and American Semiconductor has resulted in a new flexible silicon-on-polymer chip that combines the best of the old and new to augment new networked realities. "Typical silicon-based, integrated circuits are brittle, rigid components that are packaged in a way that protects them. When we look at putting these type of devices into a flexible form factor, rigidness works against us," said Dr. Dan Berrigan, a research scientist at the AFRL Materials and Manufacturing Directorate. "Working with American Semiconductor, we took silicon integrated circuit chips and thinned them until they became flexible but were still able to maintain circuit functionality. This now allows us to place the microcontrollers—essentially minicomputers—in places we couldn't before." Instead of the big, bulky chips of the past, the new microcontrollers are able to bend and flex. This allows them to integrate on systems such as wearable devices for hydration and fatigue monitoring and in soft robotics for wounded warfighters or the elderly. "This helps bring things like wearable sensors into the 'internet-of-things.' Now you can monitor things like hydration levels, temperature, strain from an arm flexing, and more," said Berrigan. Unique to this effort, he continued, is not only is the new chip flexible, but it is actually a microcontroller with an onboard memory, able to both control a system as well as collect data for future analysis. The most complex, flexible integrated circuit ever produced, it has a memory more than 7,000 times larger than any other commercially available device. "It's capable of turning a system on and off, and it can also collect data from a sensor and retain it in memory," said Berrigan. "We can wrap this type of chip around a fuel bladder sensor to detect leaks, use it to monitor munitions inventory and even augment cold-chain monitoring through temperature sensing. Enhancing logistics is just one of many ways this effort can help meet Air Force needs." Another benefit of the new microcontroller, according to Berrigan, is that it is helping the U.S. silicon manufacturing base to evolve to meet future needs. "Whereas the European industrial base is focused on printing all parts of these types of devices, we are helping the U.S. silicon manufacturing community to convert to flexible capabilities and integrating this with low cost, 3D printed electronic circuitry," said Berrigan. "This is a unique U.S. manufacturing capability." The flexible system-on-chip received the "Best New Material or Component Development Award" in the Wearable Technology Category at the 2017 IDTechEx Show, distinguishing it as a significant development for enabling wearable technology devices. 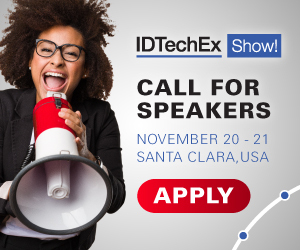 IDTechEX is one of the largest tradeshows focused on innovation and technology and brings in cutting edge research and subject matter experts from all over the globe. "Being recognized as one of the best in the world truly underlies the benefits of military and industry working together to meet Air Force needs," said Berrigan. The yearlong effort to produce these devices was also sponsored in part by the Department of Defense Rapid Reaction Technology Office which supports emerging technology demonstrations to accelerate the delivery of solutions to meet current and future warfighter needs.